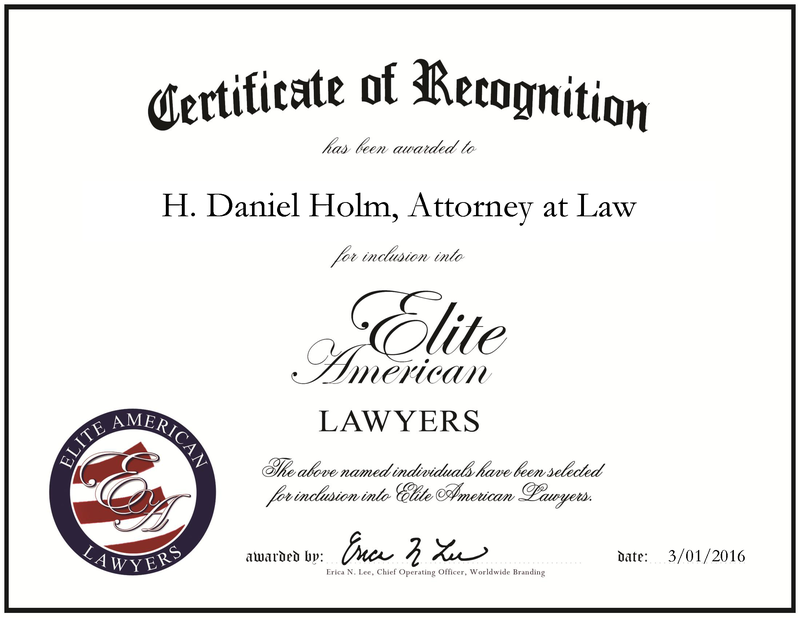 Waterloo, IA, March 1, 2016, H. Daniel Holm, Attorney and Partner at Ball, Kirk & Holm, has been recognized by Elite American Lawyers, for dedication, achievement and leadership in legal services in the areas of personal injury and wrongful deaths. For four decades, Mr. Holm has been representing clients in the matters of medical malpractice, motor vehicle accidents, litigation and appeals, nursing home negligence, personal injury, products liability and professional malpractice law. Working side-by-side with great legal partners, Mr. Holm attributes his success to the people around him, working hard and enjoying what he does throughout his career. 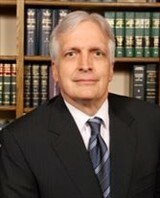 Mr. Holm attended the University of Northern Iowa to earn a Bachelor of Arts and a JD from Drake University Law School. It was during his time in undergraduate that he decided to go into law; however, he always had an interest in the field growing up. Since 2000, he has received AV Preeminent Peer Review Rating from Martindale-Hubbell. He is a fellow of the American College of Trial Lawyers, the Iowa Academy of Trial Lawyers and the American Board of Trial Advocates. In addition, he is a member of the American Association for Justice, Iowa Association for Justice, American Bar Association and the Iowa State Bar Association. This entry was posted in Medical Law, Personal Injury, Wrongful Death and tagged AV Preeminent Attorney, litigation, malpractice, Martindale-Hubbell, personal injury, wrongful death. Bookmark the permalink.